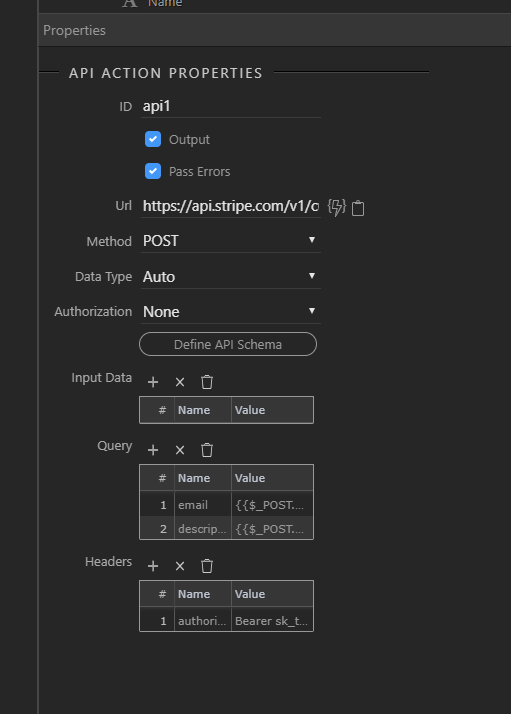 For the customer API I am only going to store Name and Email. I will, then store the customer ID as allocated by stripe in a table along with a table unique ID which will be used for manipulation within Wappler, name , email address and password (SHA256). We next make sure that the registered email address is not already registered in the system We do that by reference to the above table using a standard validation routine. Next we create an API action. 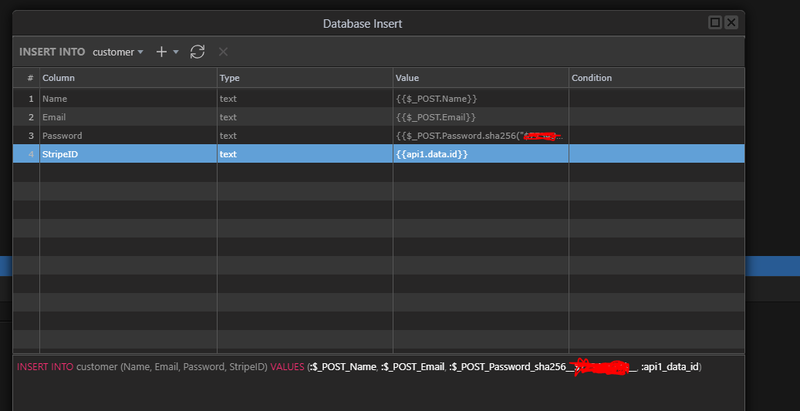 Lastly we store the details in our database table including the customer ID as returned by Stripe and our SHA 256 encoded password which can be used to login to the account with Wappler. We can the use the standard Server form Server Connect Dynamic events to deal with success or failure. So to create customer we complete the form. The customer object is created in the stripe dashboard. You can also see the email details updated in the stripe dashboard and the description showing the account holders name. Any comments, please add them. Questions, I will try my best to answer them but I am no opracle in this area.